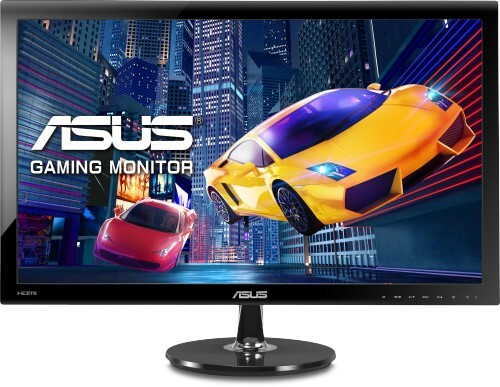 This is an excellent 27" monitor which offers full HD 1080p resolution, 170° wide-view angle, TN panel, at an affordable price. The exclusive Splendid Video Intelligence Technology optimises video performance and image fidelity by enhancing color, brightness, contrast, and sharpness. 6 preset video modes (Scenery, Theater, Game, Night View, sRGB and Standard) can be selected via a hotkey.